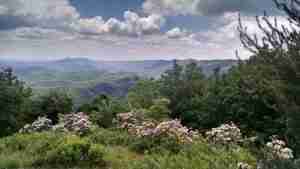 Nestled in the mountains of Southwest Virginia, Hungry Mother State Park offers a challenging network of trails. This 50K is two laps of a 15.6 mile course with approximately 3,500 feet elevation gain per lap. (The 25K will be one lap of the same course.) The park consists of some well-groomed as well as more technical trail sections. Best of all, this race is ultimately a fundraiser for Imagination Library of Smyth County. Your registration helps get free books in the hands of Smyth County children! Registration is now open through Ultra Signup! Each finisher will receive a performance shirt from Savage Apparel Co, a pair of AirEator socks from DeFeet, a boxed lunch from Sister’s Cafe, a beer, and a unique finisher award. The last day to register and be guaranteed a shirt and a pair of socks is Thursday, March 14, 2019! Registration is open through Wednesday, April 10, 2019 but the price increases after Sunday, March 31, 2019. All of our race registrants will receive a code for 25% off reservations at Hungry Mother State Park! Each 25K & 50K race participants will receive a pair of DeFeet AirEator socks with their race entry! These custom socks will have our race logo on them so that each time you wear them, you will remember your experience at the Hungry Mother 25K & 50K race. You can also order additional socks HERE or purchase them at the race for $10.00 as a fundraiser for Imagination Library of Smyth County. The top male and female runners for the 50K will receive $100 Altra Gift Card and a weekend stay at Hungry Mother State Park! We want to thank our partners and sponsors. Each of them have a role in making this race happen. The Hungry Mother 25K & 50K is the biggest fundraiser of the year for Imagination Library of Smyth County. These organizations, and our runners help give books to young children in our county. Thank you! This outstanding community bank continually shows support for Smyth County. A huge thanks to Altra for providing $100 for our top 50K male and female. We appreciate Virginia State Parks for giving our top male and female in the 50K each a weekend stay at Hungry Mother State Park. Providing their 2Skin for anti-chafing and blister protection for our runners. We appreciate Hammer Nutrition for providing Hammer Gel, Endurolytes Fizz, and HEED sports drink for our aid stations throughout the race! 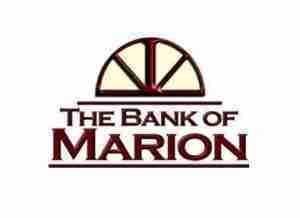 The Town of Marion is loaning us barricades. Without them, there would be no beer! A long-time local favorite, Sisters Cafe will preparing lunch for our participants! Thanks to the Pepsi Bottling Group in Wytheville, each of our participants will get a Pepsi brand drink of their choice with their lunch. Ultra racing is dangerous. 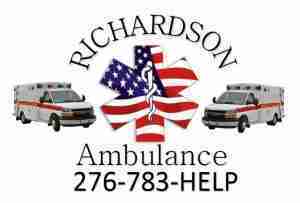 We appreciate the peace-of-mind that our sponsors Richardson Ambulance Service provide on race day be being on-site during the race just in case. We’re excited to have events shirts from Savage Apparel Co. again this year. These shirts are the ultimate in quality, performance, and comfort! Each race participants will receive a custom pair of DeFeet AirEator socks with our race logo on them! 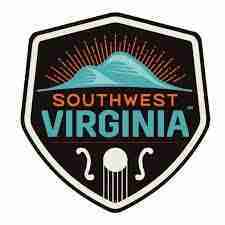 The Official Television Series of Virginia, Song of the Mountains showcases the best talents in Bluegrass Americana, and Old-time music. 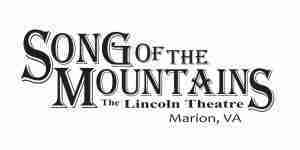 Tickets to a Song of the Mountain Show will be in our winner prize packs! A beer from Wolf Hills Brewery is included with registration! Discover a different side of Virginia when you visit Southwest Virginia with eight anchor outdoor areas awaiting exploration. Come & discover why Virginia is considered the perfect vacation spot. Plan your next trip and order A Free Travel Guide.